What Kudoz? It’s a lifelong learning platform offering 100s of opportunities for growth by passionate locals across YVR. These volunteers are recruited based on their passions, and trained to offer 1-hr multi-sensory learning experiences. Participants try dozens of experiences to explore interests, learn skills and grow their identity, past high school. They sign up when they turn 19, and spend 6 months to a year in Kudoz. They can try any experience – any time of the day or week. They are invited to pop-up reflection cafés, spaces with tools for considering your day-to-day and exploring your personal growth. Plus, they have a personal Learning Coach to meet with anytime to get assistance with their journey. It’s free if you’re CLBC eligible. 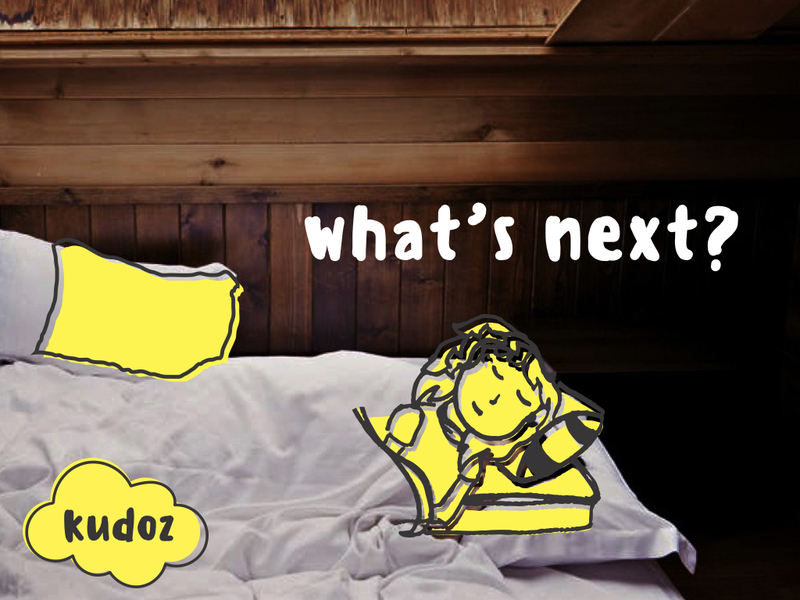 We’re grateful that your interested in sharing the story of Kudoz on your media channel. To help, we’ve got some great images for you to download. Click on thumbnails to grab the high res version. 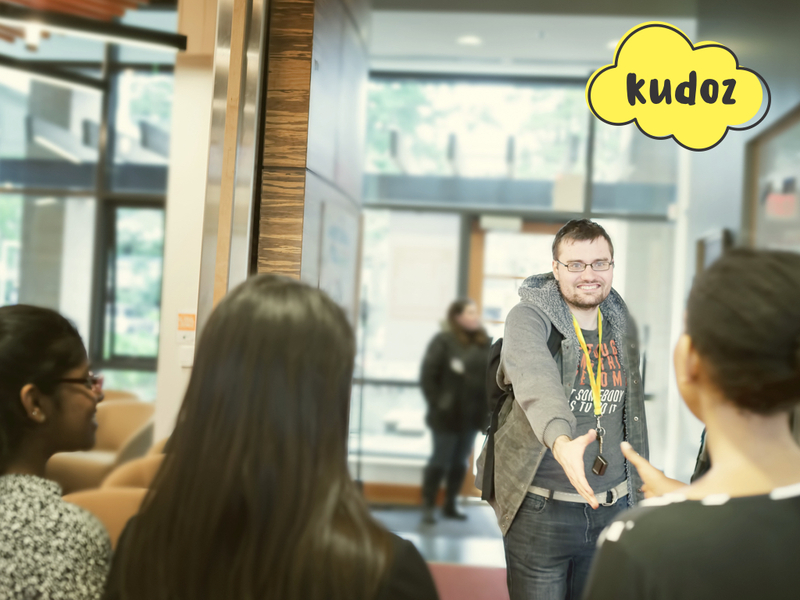 Dec 1, 2017: KUDOZ WINS VANCOUVER USER EXPERIENCE AWARDS! Writing about Kudoz? 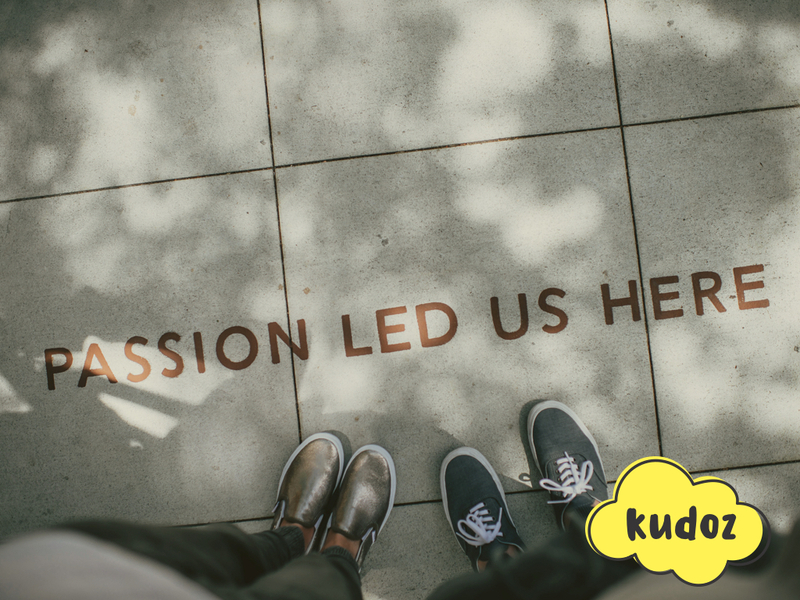 Please mention our website, www.kudoz.ca & share our social media links out! We’d love to build our online community. 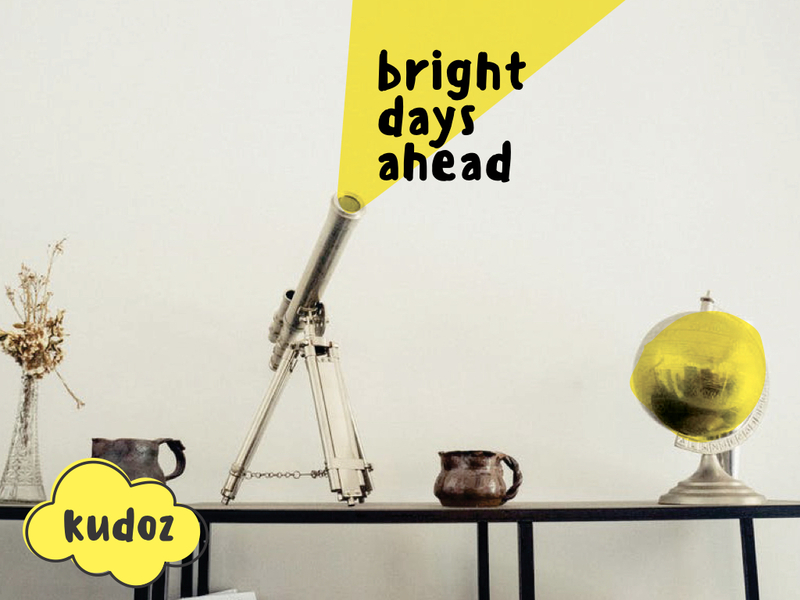 Kudoz is a joint venture with BACI, Kinsight, and posAbilties. 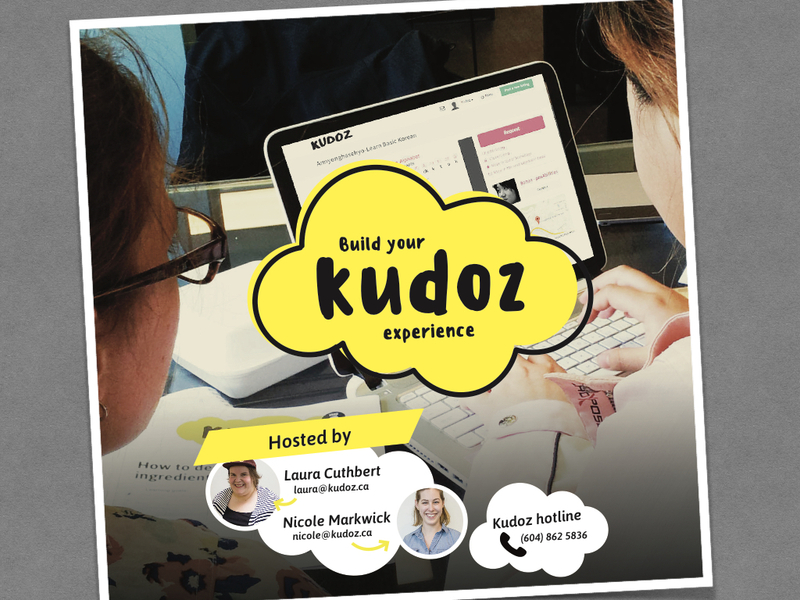 When someone joins Kudoz as a Host, our curators meet with them to co-design the learning experience. 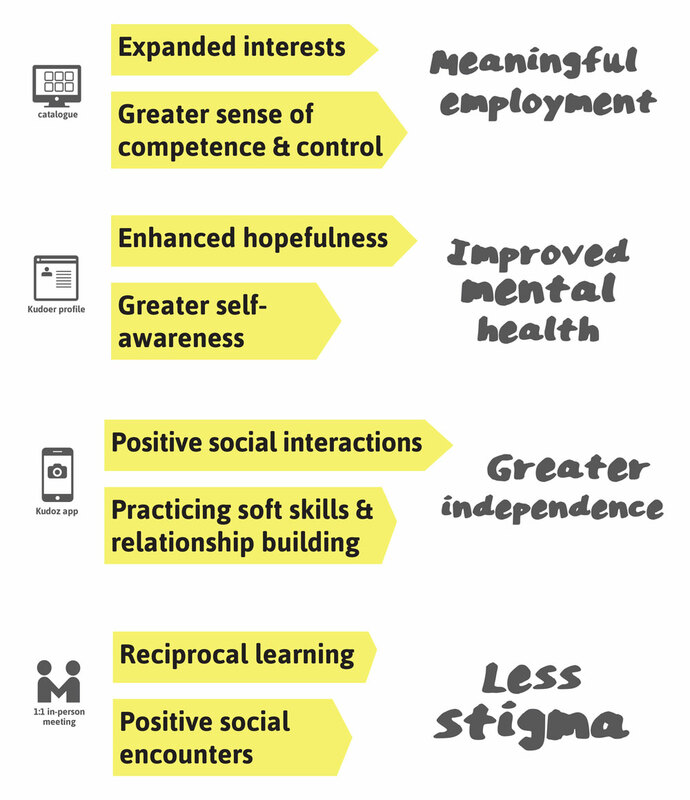 Kudoz is after change for big outcomes, more meaningful employment, improved mental health, greater independence and less stigma. 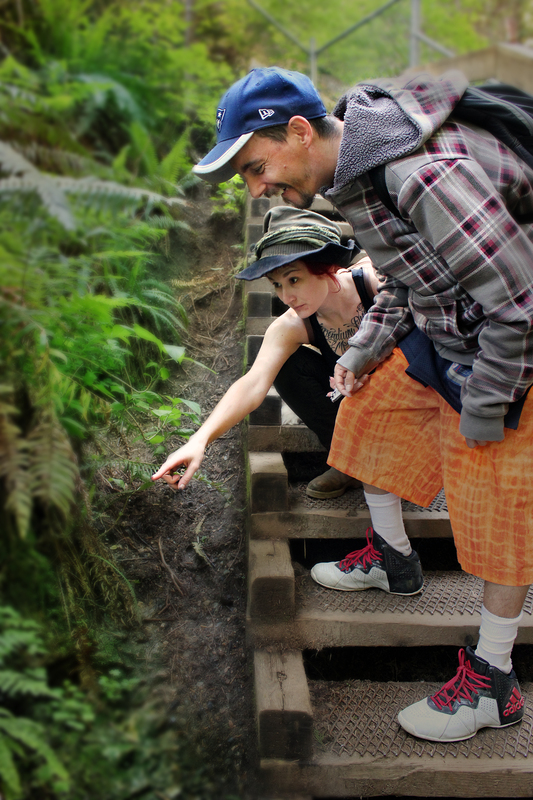 Learning experiences are in-person interactions enable learning through multiple senses. For Hosts, body language is important to understand Kudoers who are less vocal. The catalogue enables Kudoers to exercise choice making when they book experiences; and allows Hosts to set their schedule & design a bespoke volunteering experience. 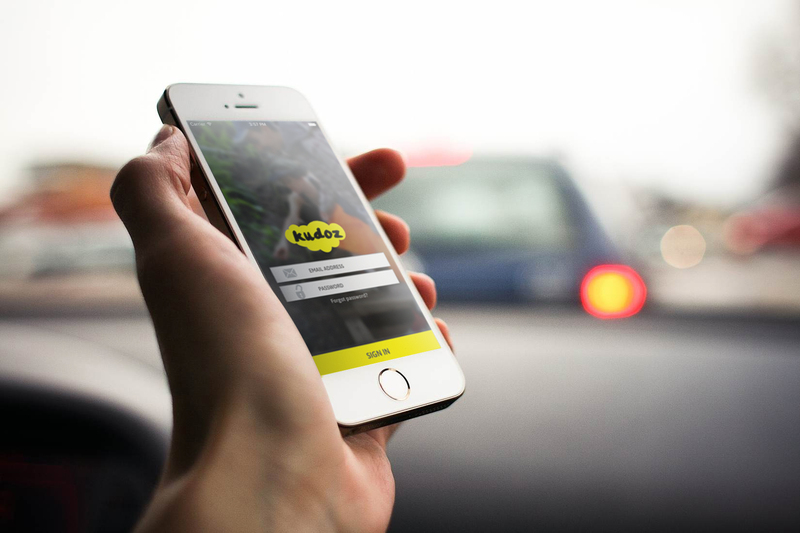 Our iOS app gives Kudoers independence by prompting them to get to experiences; and supporting their memory by photo taking. These photos are compiled into a movie and uploaded to a Kudoer’s profile. 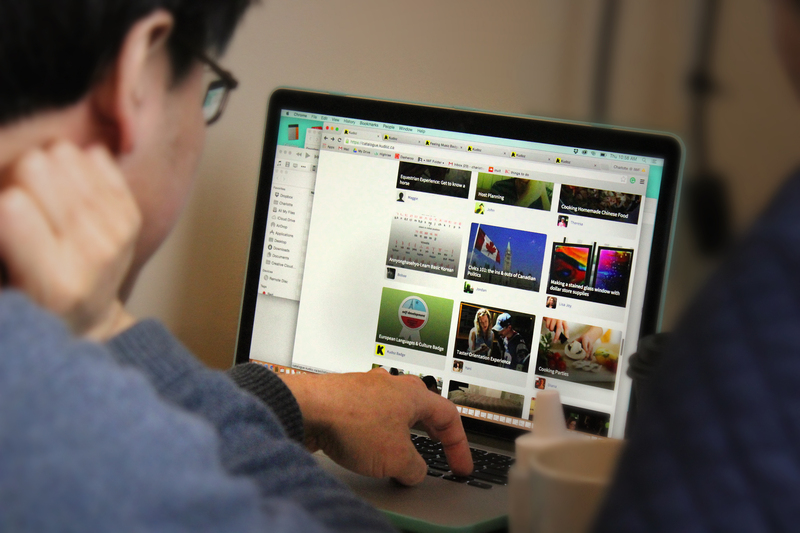 We’re joining a growing group of other spaces that are doing badging, including Mozilla/Firefox, UBC, Michigan State University, and MacArthur Foundation just to name a few. It’s a way to validate informal learning. 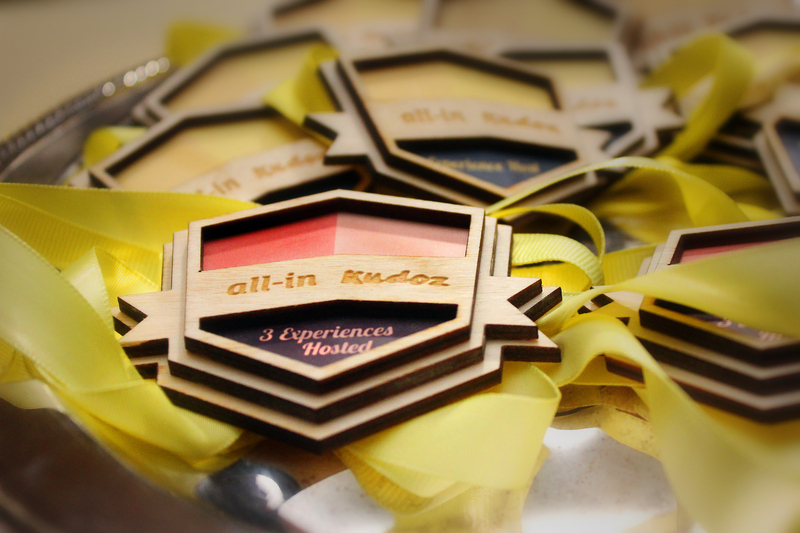 Kudoers earn badges that they can display on their profiles or resume for potential employers. We've got games to guide conversations like “sea to sky” or “would you dare?” or give the “reflection questions” dice a role. Learning is more powerful when it's shared. 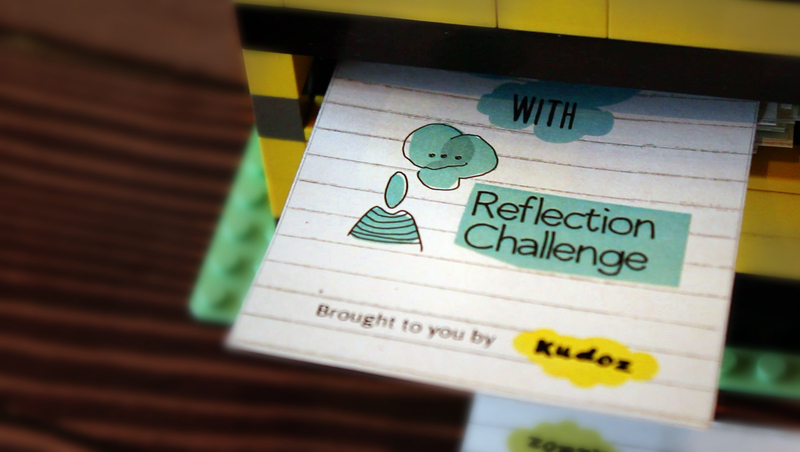 Kudoers sign up with their circle, friends, family or staff who are ready to commit to reflection and growth too! 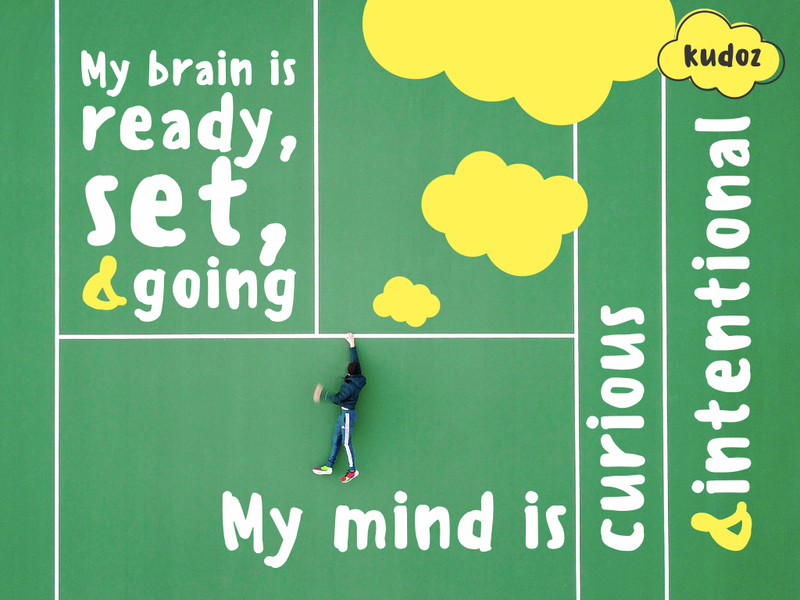 Through experiences, Kudoers grow their optimism about the future! My brain is ready, set & going. My mind is curious & intentional. Hosts are passionate about the topics they offer experiences about. Reflection cafe is a pop up space available in locations around the city twice a month. 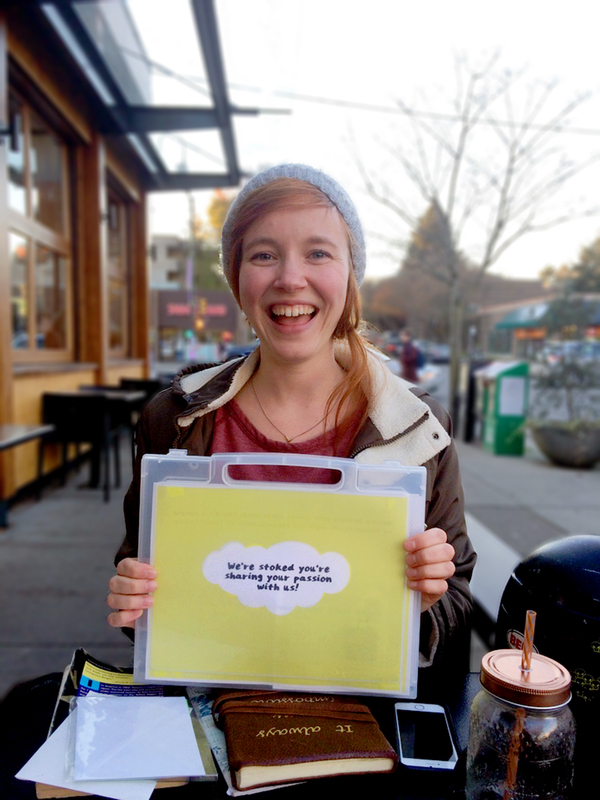 Kudoers, hosts and anyone can join to think about how their experiences are helping them grow. 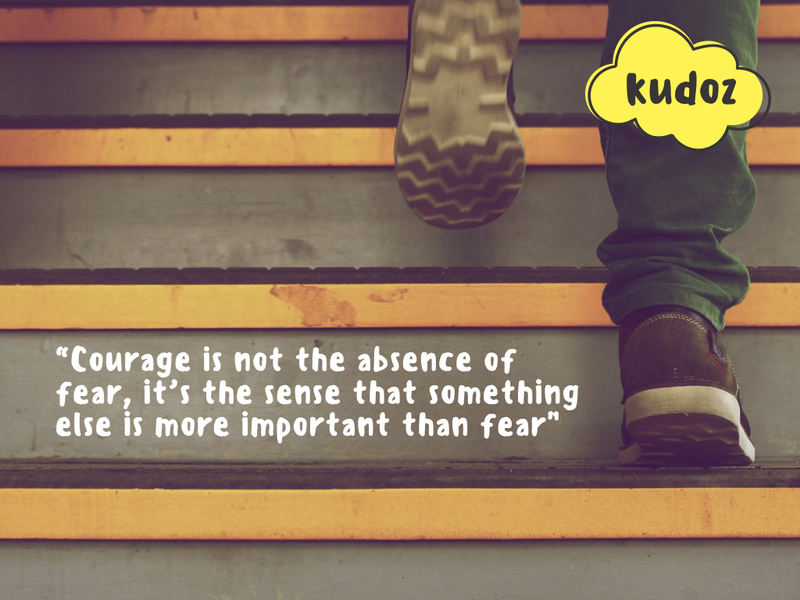 Kudoers work with a coach to start planning for a courageous future! They are ready to turn vision into action. Kudoers try experiences they really enjoyed another a few more times and get to know a few hosts well. Host connect them to networks and suggest new places for them to go to meet more like-minded friends. 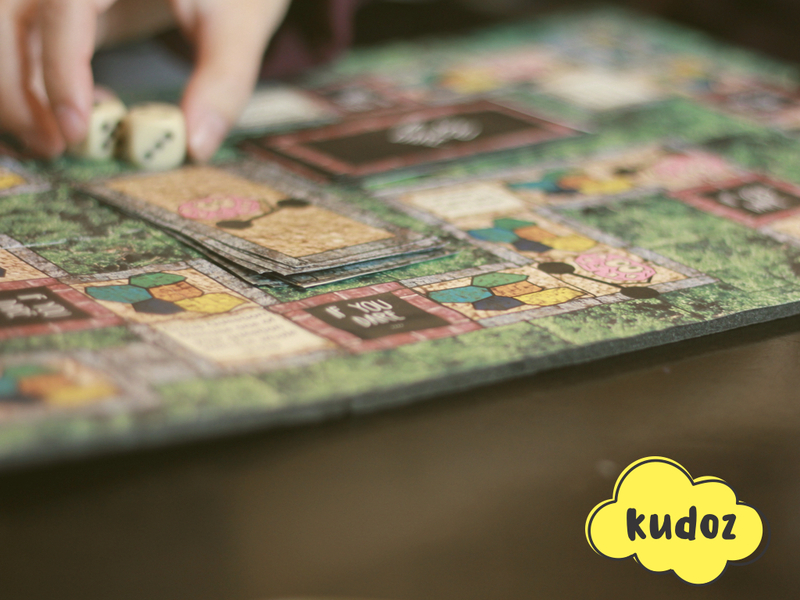 The Kudoz Journey map shows how a host or a kudoer experiences Kudoz. 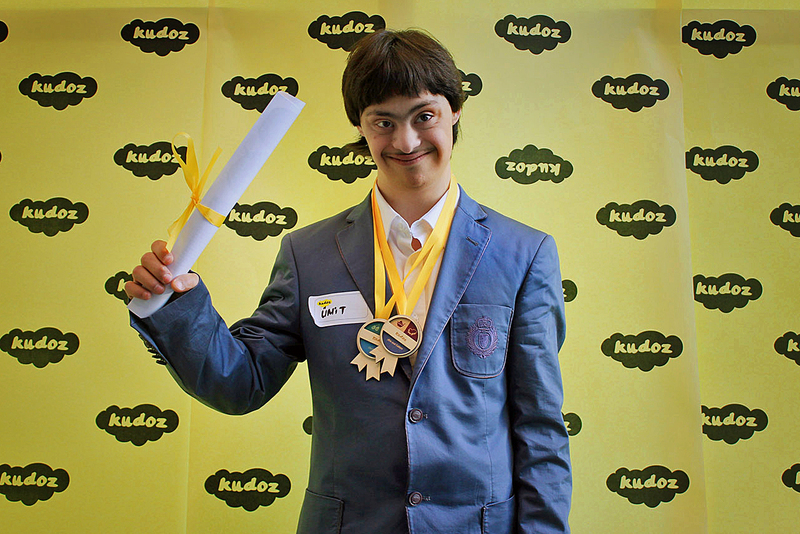 Kudoz is a new learning platform connecting adults with cognitive disabilities to 100s of mind growing experiences in the community. Too many adults with cognitive disabilities are spending their days in segregated settings doing the same activities on repeat. 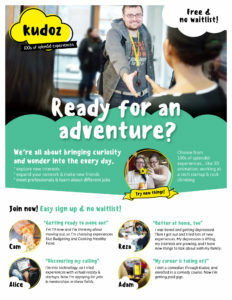 As a ‘Kudoer’, they choose from a catalogue and go on experiences hosted by passionate local volunteers. It’s like Airbnb, for learning. Ethnographic research with 50 adults helped to reframe the brief. Adults with cognitive disabilities were not just isolated from other people, they were isolated from novelty and learning. 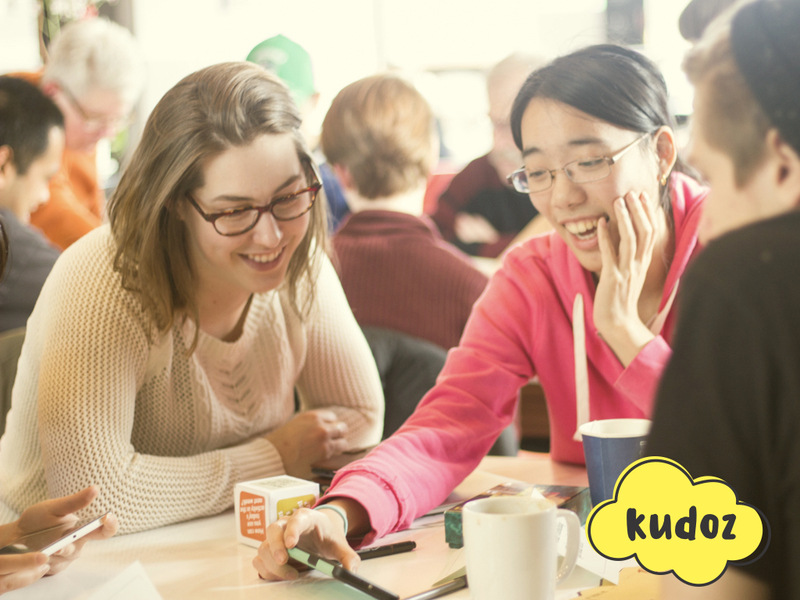 Kudoz is designed to be a pipeline to novelty and lifelong learning for the 22K adults in British Columbia with a cognitive disability. With this number on the rise, demand for Kudoz will only rise.